Jada Pinkett Smith squashes those pesky rumors in a new interview. 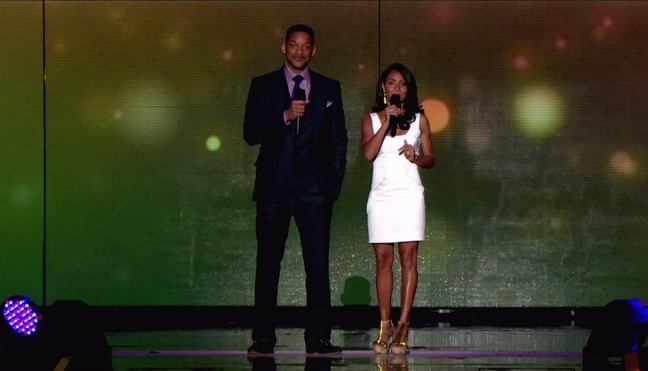 For the past year Jada and her husband Will Smith have been plagued with divorce speculation. Jada is hitting back, trying to put the stories to rest once and for all. She adds that the amount of time she and Will spend apart is nothing new and doesn’t reflect on the state of their marriage, but is just normal for their line of work. Weekend Movie Release Roundup: In Theaters & On DVD 4/13Brad Pitt And Angelina Jolie Are Engaged – Really!